I am a type A personality. I like everything in it’s place and a place for everything. This also means I love to organize. Please know, that keeping everything organized is another story. But I like to try! I recently cleaned out our “office cabinets” and organized it all! I put office cabinets in quotes because we don’t have an office room in our house. Instead, we have a little nook with a desk and cabinets that function as our office space. This area also tends to be a catch all, typically covered in every kind of treasure imaginable. First is the outside. 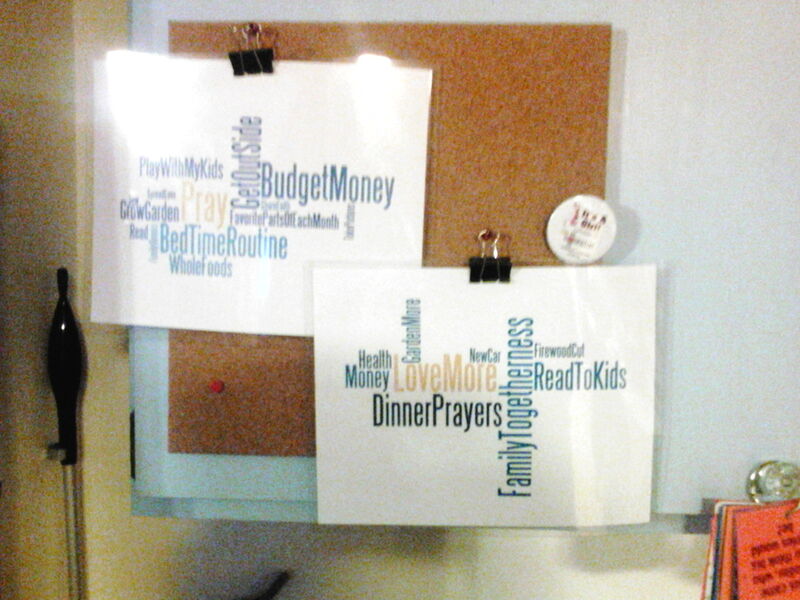 One cabinet has a corkboard that my husband and I keep our New Year’s Resolutions. Read about that HERE! 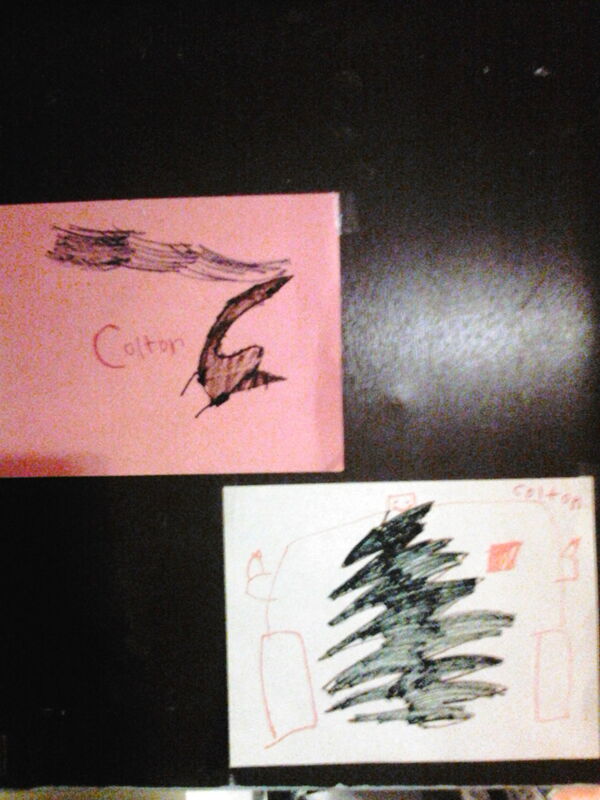 On the opposite door is a magnet board that we keep our menu on. It was a calendar that I wasn’t using any more. I spray painted it a complimentary color, added a modge podged magnet that says “What’s For Dinner?” and clothes pins with magnets on the back. I have a bin full of laminated meals that our some of our families favorites. There are also blank card for when we come up with new ideas. We play our meals two weeks at a time for budgeting reasons. 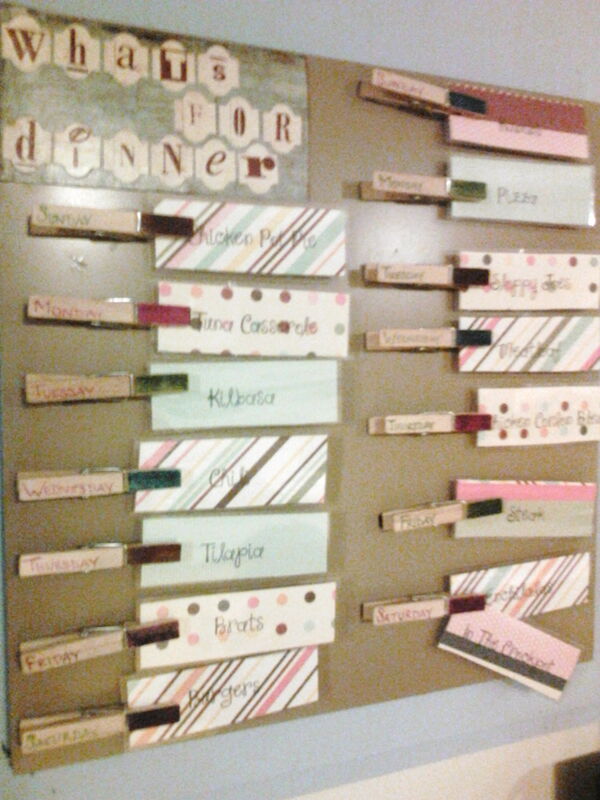 The nice this about this board is that when I’m running late and it’s my husband’s turn to cook, he can just pick a meal and rearrange, knowing that we have all the groceries needed for that meal in the house! 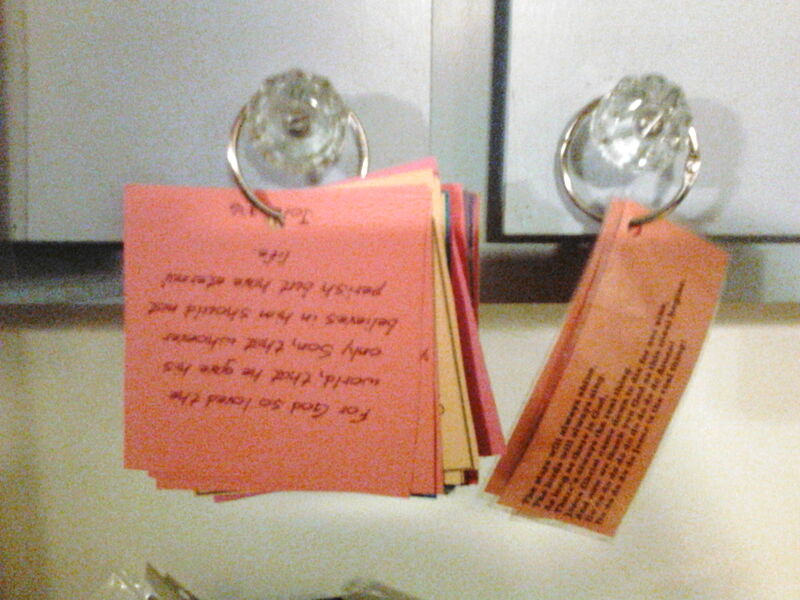 On the handles of the door are sets of cards with fun table prayers and conversation starters. These are great for company or just went you need a little pick-me-up! 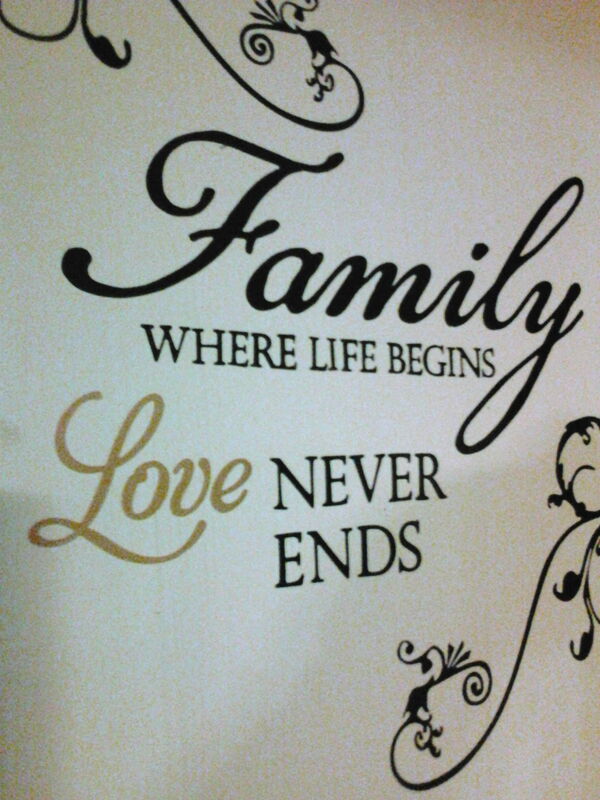 On the third door is a saying “Family, Where Life Begins, Love Never Ends.” I love it! The next shelf is the one I’m most proud of! I wasn’t able to nurse my children, so we’re a formula family. It was a hard thing for me to accept at first, but my kids are strong, healthy and growing like weeds. A positive I’ve found with formula is the containers it comes in! 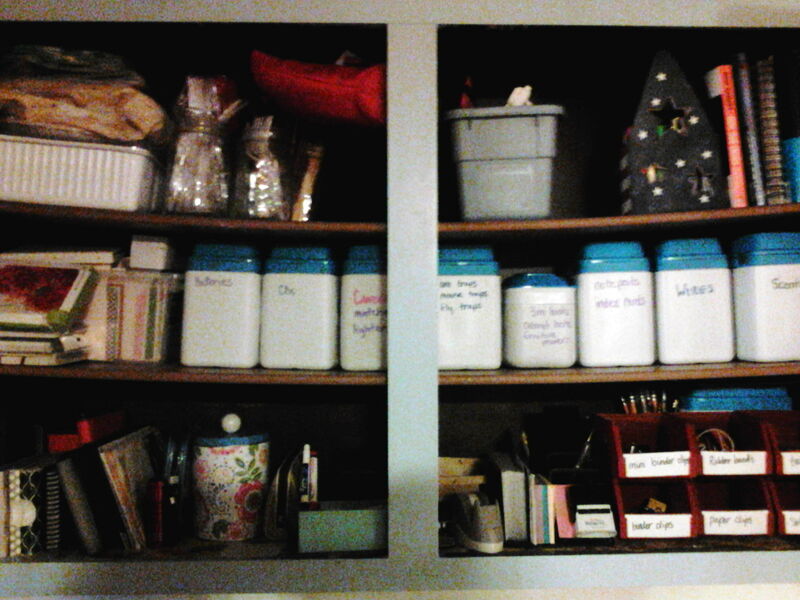 These great plastic bins are the perfect size for my cabinets! All those smallish items that get lost in the shuffle now have homes! Everything from scentsy bars, to extra wires, to pens and pencils and notepads. Its great! 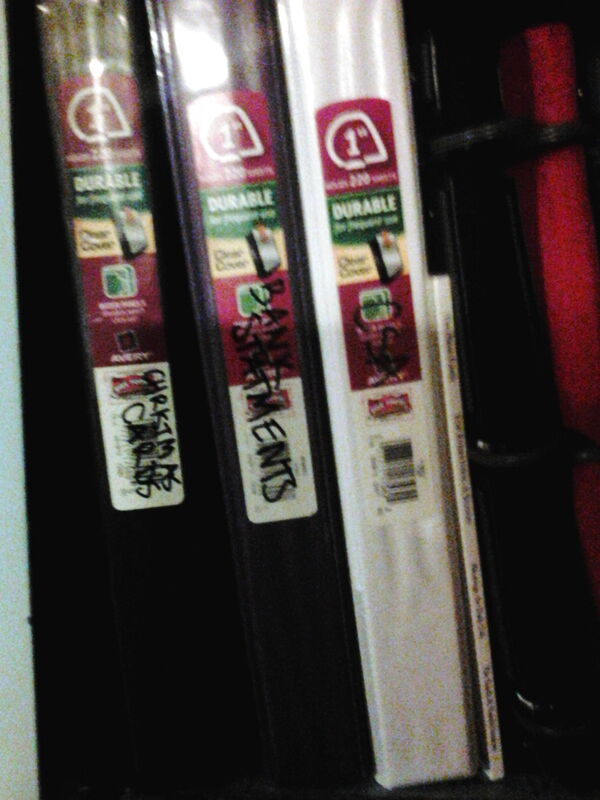 I used a dry erase marker on the bins too, so if I need to switch them around I can easily relabel. 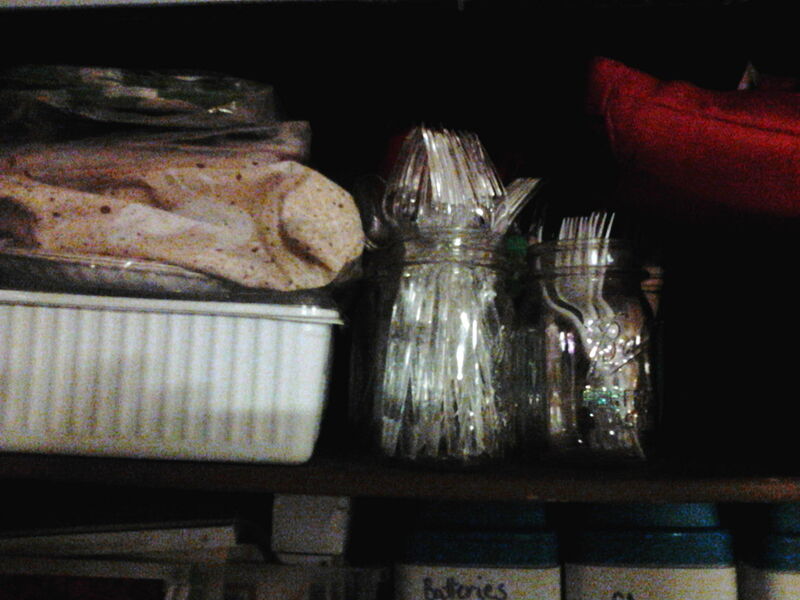 On the bottom shelf are the left over bits. 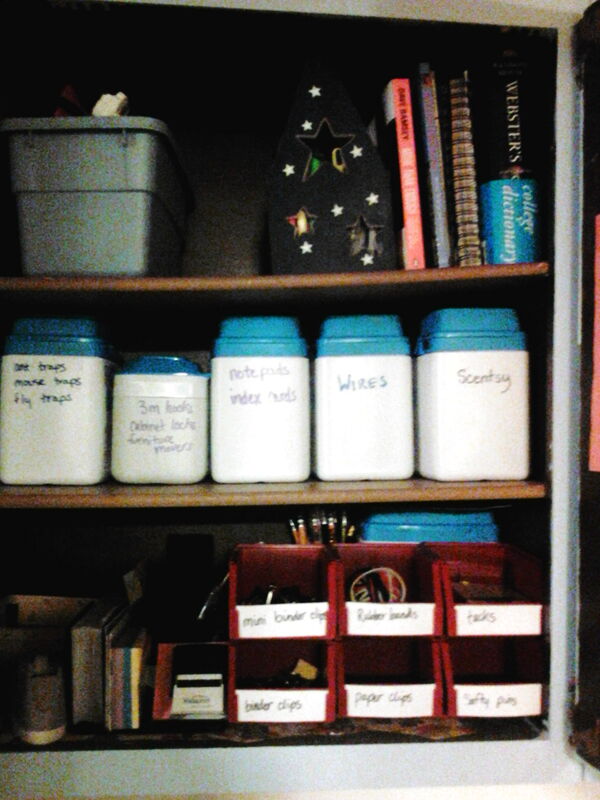 One side holds things like picture books from GrooveBooks, address books, a tin with date ideas, and our meal cards. The other has basic office supplies for easy access. 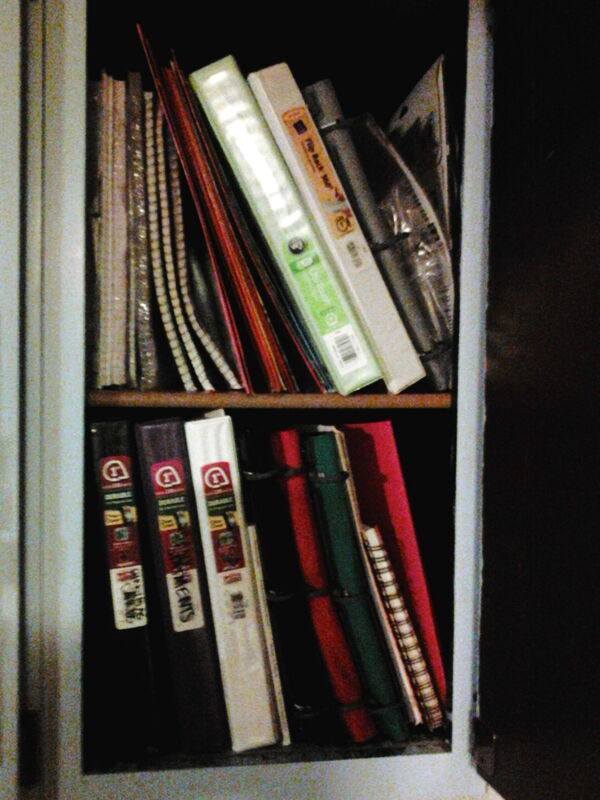 The third cabinet has taller shelves to hold binders, paper and notebooks. The top shelf is unused supplies. The bottom has family binders with bank records, Christmas cards, CSA planning, budgets, emergency information and records. So there it is! Clean and beautiful! 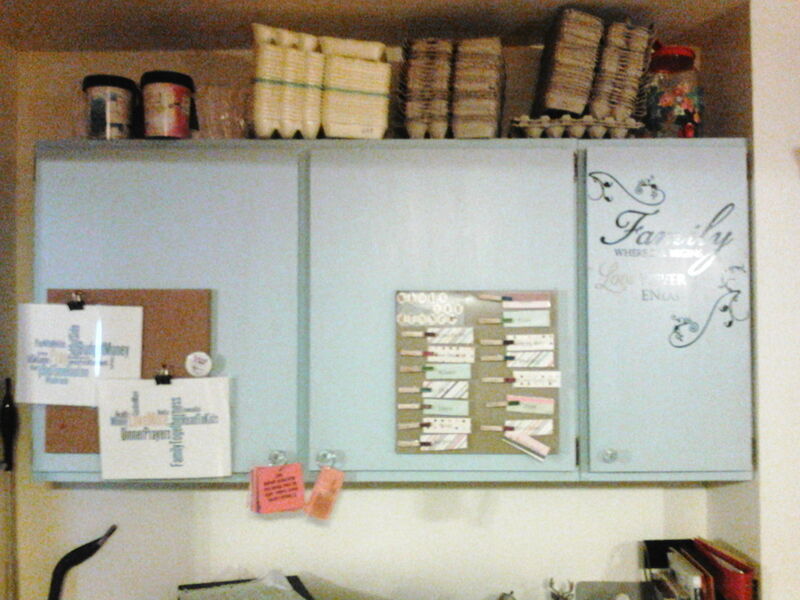 We’re going on almost a month now of keeping the cabinets clean, we’ll see how long it lasts!